• Brian and Michael D’Addario are perhaps the most innovative teenage music-makers of the decade. Drawing comparisons that range from the dynamic experimentalism of the Beatles to the the face-melting sounds of Iron Maiden, the Long Island brothers made a big splash – including here on the Trail 103.3 – with their debut album, 2016’s Do Hollywood. And now, with great anticipation, Lemon Twigs are back with a new pair of singles – each of which stays true to their uniquely exploratory songwriting skills. The Lemon Twigs are reportedly hard at work on their sophomore release and will tour in support of Arctic Monkeys this fall. • To be honest, we thought she was Florence from Florence and the Machine. 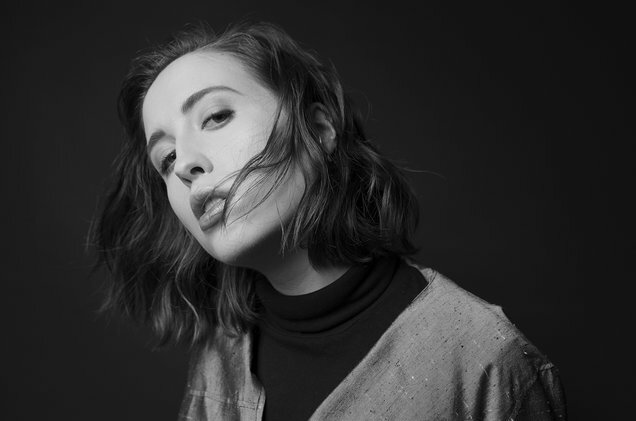 So please, forgive our ignorance – and our surprise – when, while researching for this blog, we discovered that Alice Merton is the real name behind that super catchy “No Roots” single we’ve been spinning the past year or so. Check out Rolling Stone Magazine’s feature article on Merton HERE. • It’s been a long time coming for Xavier Amin Dphrepaulezz. Don’t worry, you don’t need to learn how to pronounce that name. He’s going by the much simpler Fantastic Negrito – but that one you DO need to put to memory because, trust us, you’re going to want to research his story once you hear his music. 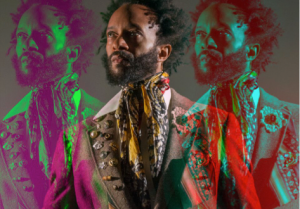 Negrito, the son of Somali-Carribean immigrants, taught himself to play music after being inspired by Prince in the early 1990s. He released his first album in 1996 but didn’t get much beyond that until a resurgence of sorts in 2014. The following year he won NPR’s “Tiny Desk Contest” and then two years later his The Last Days of Oakland earned him a Grammy Award for Best Contemporary Blues Album. The newest one, Please Don’t Be Dead, is due June 15th. We’ve heard the lead-off single – and in today’s tense racial and socio-economic times, it’s timely. But more than that, it’s utterly soulful. • Lissie is another stage name, this one for Elizabeth Corrin Maurus, who also earns a bit of comparison to the aforementioned Florence. Fast forward a decade and Maurus is now promoting her fourth studio release. Recorded in rural Iowa, it’s titled Castles, it dropped just this past month, and already its spawned four mesmerizing singles. To learn how Maurus invokes comparisons to Florence – as well as Bon Iver, Sheryl Crow, Shania Twain AND Stevie Nicks – check out the NME album review HERE. • Finally, though it feels like Neko Case never really went away we’ll celebrate in June the release of her first solo album in five years. The former The New Pornographers member has been anything but idle during that time, appearing on a pair of records released by the musical collective as well as collaborating with k.d. lang and Laura Veirs for a “supergroup” project known as Case/lang/veirs. But now Case is back doing what she does best on her seventh overall – and first self-produced – solo release, Hell-On. Album is due June 1st – you heard it here first!